Our community is a diverse mix of people touched by adoption who support our vision of a family for every child. 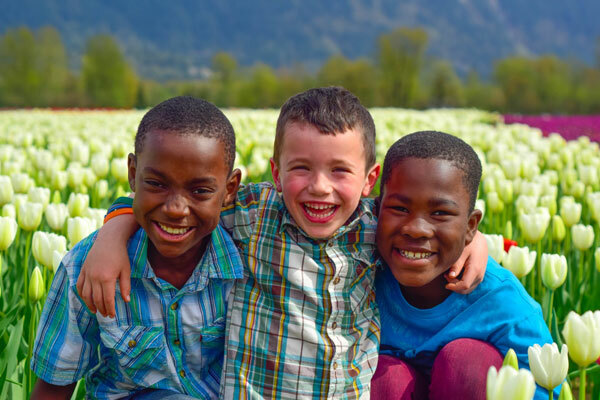 We stand alongside adoptive parents and adoptees, youth in or from care, birth families, adoption professionals, foster parents, extended families, donors, and others. There are many ways to get involved, support our programs, and meet others in the adoption community. Become a member and be a part of our growing adoption community. Make a difference in the lives of children, youth, and adoptive families. It's easier than you think. Make a first-hand difference for adoptive families. Stay connected with AFABC by subscribing to our monthly enewsletter! Meet other adoptive families for support, connection, education, and fun at our events. We havep icnics, camps, webinars, workshops, swim parties, Family Fun Days, support groups, and more!